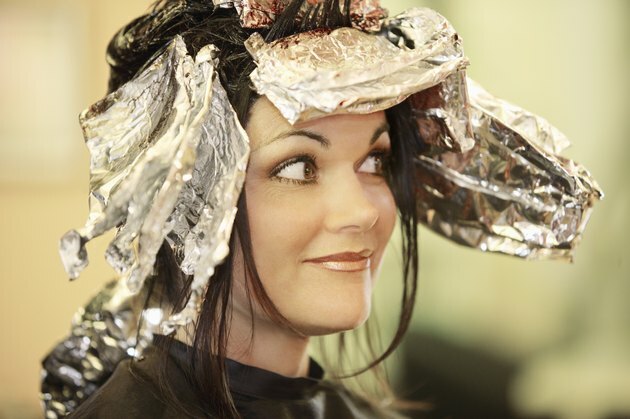 Many pregnant women have questions about the safety of hair treatments. There are a myriad of hair products, each containing a variety of different chemicals. While many hair treatments are perfectly safe for both mothers and their unborn children, some are potentially dangerous and should be avoided. As such, many physicians will recommend that pregnant women avoid hair treatments altogether. Permanent hair dyes contain many chemicals that, in high doses, have been shown to cause birth defects in rats. However, very little absorption of these chemicals occurs through the scalp, so it is highly unlikely that they would affect the fetus. But, because there are no studies to indicate that these dyes are completely safe, many doctors recommend avoiding hair dyes during pregnancy, especially during the delicate first trimester. Chemical straighteners and permanent curling treatments often contain caustic chemicals, like lye, calcium hydroxide, or sodium thioglycolate, to break the chemical bonds in hair, changing its shape. Although these chemicals may irritate the scalp and damage the hair, a 1999 study published in the "American Journal of Epidemiology" indicates that the use of these products is not associated with preterm delivery or low birth weight. The study, however, did not examine the occurrence of birth defects. While significant quantities of the harmful chemicals used in hair treatments are not absorbed through the scalp, hair treatments often release strong chemical fumes. Permanent hair dyes often release ammonia vapors, which can irritate the respiratory tract. However, there is no evidence to suggest that exposure to ammonia can harm the developing fetus. The same is true for the chemical fumes released from straightening or permanent curling treatments. A 2006 Danish study compared the pregnancy outcomes of hairdressers to those of the general population. This study showed no significant difference in the occurrence of miscarriage, low birth weight or birth defects between the two groups. The study found that the children of hairdressers were at no greater risk for birth defects or other impairments, even though hairdressers are exposed to the chemicals in hair treatments on a daily basis. Using chemical hair treatments is not likely to harm a developing baby. According to the American College of Obstetricians and Gynecologists, hair dyes are probably safe to use during pregnancy. However, no studies on the effects of occasional hair treatment use during pregnancy have been conducted. Thus, most physicians will recommend that you err on the side of caution, and avoid chemical treatments during the first trimester.